Eggs & Bread were amazing!!! Very very tasty!!! Having cooking facilities and a refrigerator made it easy to fix our breakfast and get hiking in the mornings. The supplies for breakfast were delivered the evening before which also help. There was breakfast bars and bread so we actually needed to buy just meat and cheese for our trail lunches. Beds were comfortable, terrific hot showers, spacious units with functional eat-in kitchens. Breakfasts each morning were terrific - fresh bread, eggs, fruit, and yogurt were a great start for our hikes. Kitchens and fridge had plenty of space to assemble picnics for our hikes. Very helpful staff, we checked out an hour later and they didn’t make a problem with that. The apartment is very clean and new, the bed was very comfortable. Breakfast was great and copious. The apartment is well outfitted and great if you're cooking and making your own food. The loft area was super cute and spacious--with good spaces to lay out our backpacks and unpack. Our room was modern, spacious, and clean. There is an electricity socket by each bed that fits all types of plugs. The hotel is right by the Laguna Torres trailhead which was perfect for our stay. Alejandro made us feel welcome and answered all of our questions. A nice breakfast is delivered the night before so folks can start hiking at anytime. Alejandro, my host, was amazing. Very accommodating, and told of little used trails that I prefer. Fresh bread and fruits with breakfast, excellent! Modern, clean, high quality interior and bathroom. Friendly staff speaks English, credit cards accepted. Good location. I love the host! She is so kind and helpful! She made us food even it was not included in our fees! And she helped us when we were in trouble~ I am just so thankful for what she did! 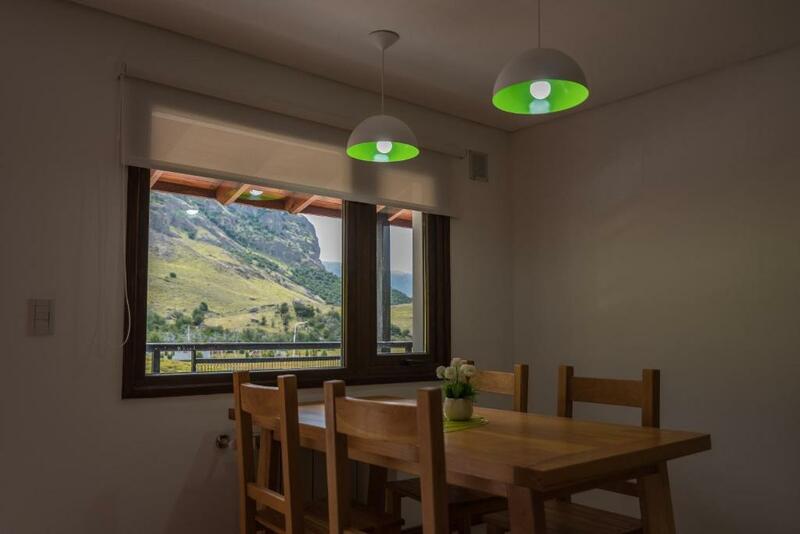 the house is very clean with everything you need and it is located nearby a hiking trail. We stayed here for 5 nights and I just felt like being home! Spacious, good bed. Nice cooktop and bathroom fixtures. Lock in a great price for Andino Aparts - El Chaltén – rated 9.2 by recent guests! 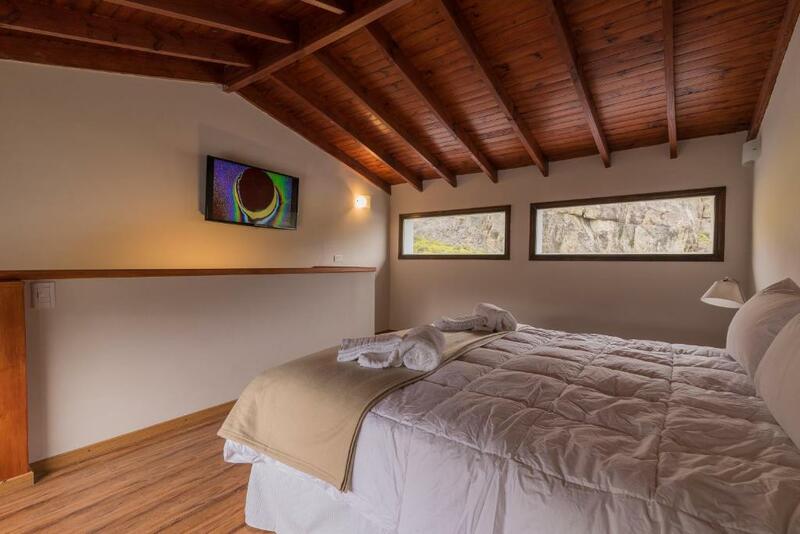 One of our top picks in El Chalten.Set in El Chalten, Andino Aparts - El Chaltén provides accommodations with free WiFi, a flat-screen TV and a kitchen. A microwave and kettle are also provided. A continental breakfast is available daily at Andino Aparts - El Chaltén. Cerro Fitz Roy is 7.5 mi from Andino Aparts - El Chaltén. When would you like to stay at Andino Aparts - El Chaltén? This apartment features a microwave, dining area and kitchenware. Departamentos nuevos, amplios, luminosos, con vista a las montañas. Con cocina, living y baño privado. Desayuno incluído y recepción en el establecimiento. House Rules Andino Aparts - El Chaltén takes special requests – add in the next step! Andino Aparts - El Chaltén accepts these cards and reserves the right to temporarily hold an amount prior to arrival. Please inform Andino Aparts - El Chaltén of your expected arrival time in advance. You can use the Special Requests box when booking, or contact the property directly using the contact details in your confirmation. The roms were spacious, clean and functional. Good facilities in the property and really close to some of the best walking trails in El Chalten. Perfect location. The staff were exceptionally helpful. We stayed for six nights and wished we had longer there. Sore legs from hiking would welcome a comfy place to sit in the tiny kitchen, but I think it would be difficult to fit in. Perhaps tray tables instead of a proper table would help, or a table that folds down when needed. The location (up stairs or a ramp from the rest of the town) is a bit daunting after completing the Laguna de los Tres hike, but is really not that bad at all. And it is extremely convenient for the Laguna Torre hike. Wonderful property. The rooms are very well appointed, clean and fresh. Fully stocked kitchen with coffee, tea, sugar provided. Breakfast is very generous, delivered as promised the night before. Delicious homemade bread. Great for additional snacks for hiking. The best feature? Heated bathroom floor. Divine! We stayed in a duplex unit and the upstairs bedroom is HUGE. The staff were extremely helpful, even though I interrupted their work several times! The trail for Laguna Torre starts literally outside the door! Nowhere is more than a 10 minute walk. Breakfast could be better, perhaps some eggs or ham/cheese. Slight sewage smell coming from drainage hole in bathroom but that is relatively minor detail. Warm welcome on arrival. 2 separate bedrooms and complete kitchen available. Good location for the start of the hiking trail. Car parking right in front of the apartment. Can pay with credit card and flexible on payment. Easy to communicate with. This was one of the best places that we stayed during our trip to Patagonia. The apartment was clean, warm and very comfortable, and close to great hikes. The bed was also really comfortable. The guy working in the reception was also very friendly and gave us many good tips for both hikes and restaurants. We also liked the abundant breakfast that was brought to our room each night. Would def stay here again! The apartment was beautiful and the hosts gave us breakfast each morning and the kitchen was equipped fun extra things like Parmesan cheese and hot chocolate! Also the location is right at the base of some beautiful hiking trails! Location was good and facilities were excellent. Breakfast was so-so, delivered night before and an earlier delivery would have been helpful. Very clean and modern, with a kitchen, 2 bedrooms. We could walk to the trails from the hotel. Our host at reception, Alejandro, was very helpful and informative. He explained the different trails and arranged a taxi pick-up from the hotel for us to start the Fitz Roy trail from El Pilar. It was totally worth it. We hiked from El Pilar to Laguna de Las Tres, and then back on a different trail to El Chalten. It took a whole day and was totally worth it. Everyday a breakfast tray was delivered the night before, with yogurt, fruit, freshly baked break cut into slices, jam and cream cheese, protein bar, and juice boxes. We brought some of the breakfast with us on our hikes to have at lunch. We also had 4 raw eggs left in a basket in the kitchen each day. There was also instant coffee, hot chocolate powder, teas and cooking oil. We felt very at home, and well-equipped to start each day of adventure in the area. We did Torres Del Paine, El Calafate and El Chalten. El Chalten was our favorite stop for the friendly service, the amazing hikes and great restaurants in all prices ranges. Best meat: Oveja Negra. Cute small restaurant for Stews, Empanadas and soups: El Parador - eat in and take out, best value and delicious food. Simple and easy to use. Nice place to stay. very good apartment for you to stay a couple of days. Even they give you fresh eggs and homemade bread as your breakfast! Mirror in the bedroom; only one was in the toilet. Toilet seat loose. No soap holder in shower. Provided breakfast included their own baked bread every day. Close to the start of Laguna Torre walk. Large rooms. International powerpoints so no need for adapters. Breakfast was great. Location is a bit far from the town center. Tee, coffee, oil, vinegar etc. were there which was very nice to start cooking instantly after our arrival. 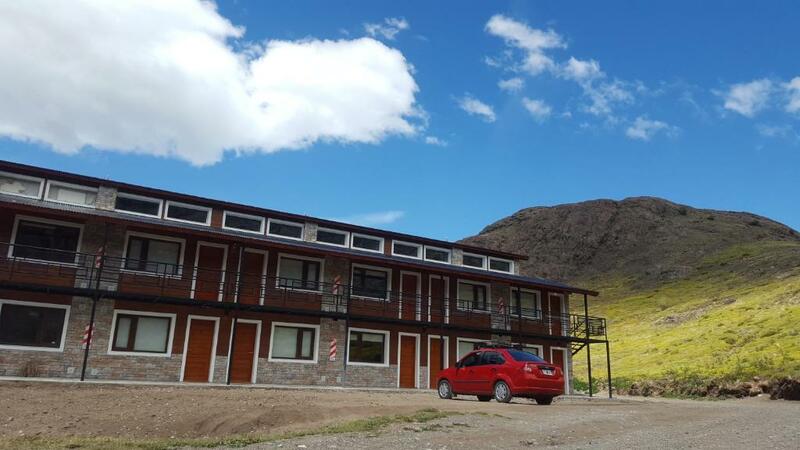 Great place to stay in El Chalten!